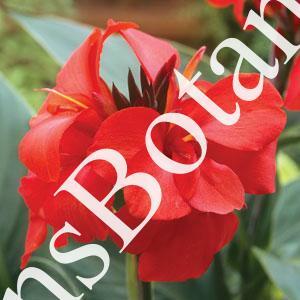 Canna Cannova ‘Red Shades’ is a dwarf growing Canna with green foliage and deep red flowers. Plants will grow between 3 to 4 feet tall and flower all summer. Grow from seed virus free.